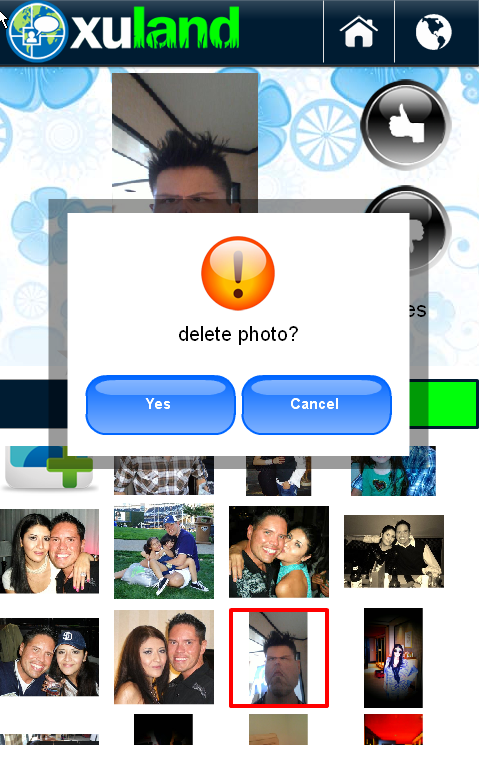 In building the mobile dating app Xuland, one of its key features will be the ability to add many profile photos. Your admirers can tap each photo from a list, see the larger version and vote on whether they like it or not. The thing is, because buttons are typically over-sized on mobile devices to make them fat-finger friendly, it leave little room on the screen for many of them. You could utilize the off-screen menu option on Android but iOS devices lack this seemingly basic feature. Instead you could design your app to have contextual popup menus appear when holding or pressing down on an icon, button or other object on the screen. Essentially what happens here is that once the user touches a photo, the timer activates and starts ticking. If the user at any time during the timeout period takes his finger off the photo, the timer is stopped, otherwise when the timer reaches is preset delay, it opens a confirmation popup prompting the user to take some action. This spring I’ve started a project called Gestouch that simplifies gestures recongnition — the long press is of course one of them. up here Flex: Capturing long-touch events on Android & iOS mobile devices | eonflex.com. And I actually do have a few questions for you if you tend not to mind. across like written by brain dead individuals? we would locate their businesses inside biggest business districts within the country. Its well-linked infrastructure along with a robust economy made corporate houses setup businesses here. that Obama’s job plan will not provide nearly enough funding to perform need to aid with true economic recovery. per session and I you are only supposed to do these workouts three days a week. Hey, when I want to talk like that, I head to the lab. This isometric exercise is perfect for stabilizing your core. You probably don’t remember me… Mainly because we’ve never met. I want to apologise for sending you this cold email. I know…I shouldn’t have done it. But I decided to take a chance, put my big boy pants on and email you anyway because there’s something I had to share. My name is Robert and I run the WhatSupp Workout website . I’m writing to you because I’d love to contribute a guest post to your site, eonflex.com.